All people faced with the prospect of having to move their household or business would be looking for a way to make the relocation as quick and inexpensive as possible, needless to say hassle-free. In most, if not all cases, a professionally organised removal service would be the most manageable and affordable way to complete the project. 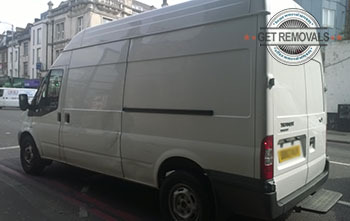 Removals Kenley is a well-established, locally based moving company which has the capacity and expertise to cover all types of residential and commercial property removals. Our advice, as a specialised service provider is to consider one of our end to end removal services package as this is a proven way to reduce overall relocation costs and the cancel out the margin for error. We will further offset the costs of your property removal through optimising and streamlining the entire process through efficient work practices, professional expertise, as well as punctuality and reliability. Our private and business customers will receive free of charge, no obligation service quotes and fair, customised pricing that reflects the specs of the job. None of our quotes of prices include hidden fees or unmentioned additional charges. We will provide adequate, easy to understand removal advice to customers throughout the duration of the project. Apart from the general purpose domestic removals and business removals we deal with, the company also provides specialised piano and furniture removals as well as cost efficient waste collection solutions. Naturally, a professional packing service is also available. Optionally, if customers are self-packing, we can deliver the necessary packing materials to them. Some peace, quiet and greenery are the perfect way to spend your day, while we do the heavy lifting for you (good news – we don’t require customer supervision), and greenery is what Kenley has plenty of. Most of this south London suburb is part of the city’s Metro Green Belt. The largest green open space in the area is Kenley Common – sixty four hectares of chalk grasslands and ancient woodlands. 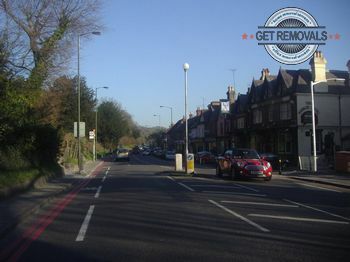 Kenley Common is situated around the area which housed the Battle of Britain Aerodrome – key historic location. Elevated spots around the common provide for some really good panoramic views to Caterham Valley and North Downs. People who visit this beautiful green open space for the first time, cannot believe they are only fourteen kilometres south of the city’s most central zones.